Mywaste.ie to become the definitive guide on the segregation of household waste. The official site will also help householders reach a recycling rate of 65% by 2035. 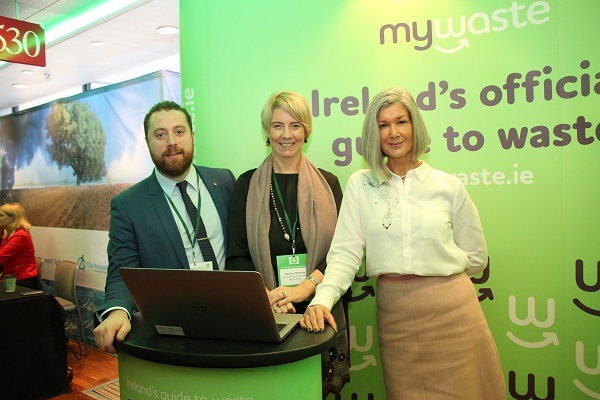 A new official online service designed as the one-stop-shop for all matters relating to domestic waste and recycling has been launched by Ireland’s three regional waste management offices (Eastern/Midlands, Southern, Connacht/Ulster). mywaste.ie – is the ultimate information point for all questions relating to the segregation of household waste. This definitive waste management resource will help the public in addressing the need to manage waste and protect the environment. The Department of Communications, Climate Action and Environment (DCCAE) sponsored site is also designed to help progress Ireland’s waste targets . This includes a targeted household recycling and reuse rate of 65% by 2035. Pauline McDonogh Co-ordinator of mywaste.ie and Waste Prevention Officer, Southern Region Waste Management Office explained that there is already a lot of information about waste management in the public domain but this is not always correct or relevant to Ireland. “There has been a lot of information about recycling relayed through both traditional and social media. This is welcome in many ways as it shows there is an appetite among the public to reduce our waste output and recycle,” added the environmental scientist. “However the vast and varied information circulating has also led to confusion. The source of many of these posts, articles and videos are outside of Ireland where the waste management policy may be different. Other information is provided by people who mean well but in some cases are misinformed or the information may be outdated,” continued Ms McDonogh. “We have also included a clear guide as to what can be done with large items, textiles, food waste, and WEEE. As well as tips on how to recycle, there is also lots of recipes using left over food, reuse ideas for household goods and pointers on how to be more sustainable,” she concluded.